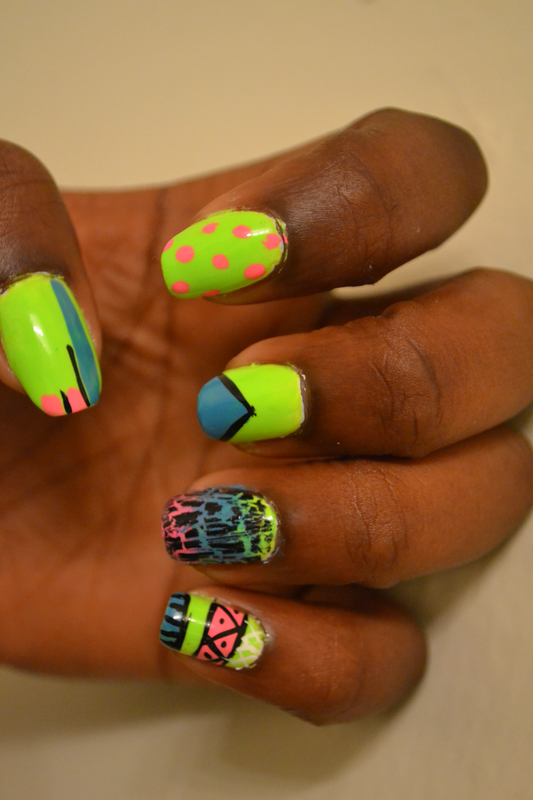 Anyway, I kind of played with other neon polishes, I hope you like it! Bref, j'ai un peu joue avec d'autres vernis fllashy, j'espere que ca vous plait! Have to say love how you put everything together ! The colors were on point especially with spring coming a long ! great outfit ! 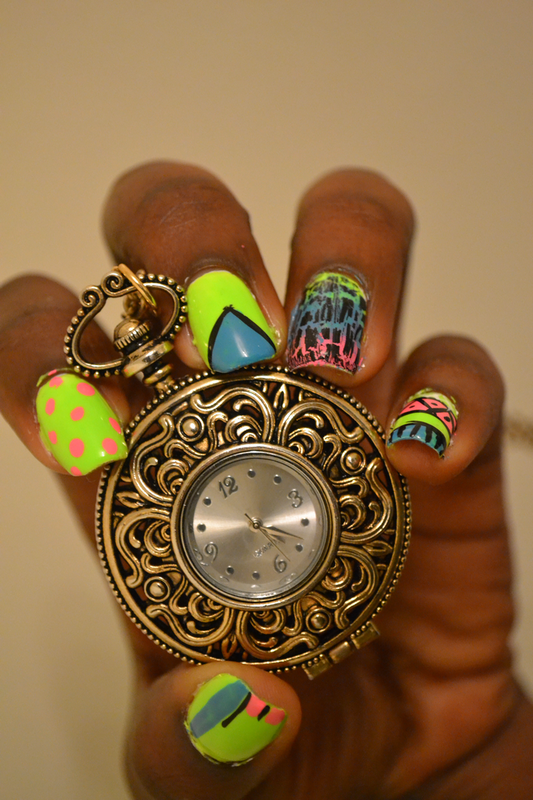 c'est cool tes ongles! j'aime trop les couleurs et motifs! Love the Aztec looking one! Love your nails! So cute! 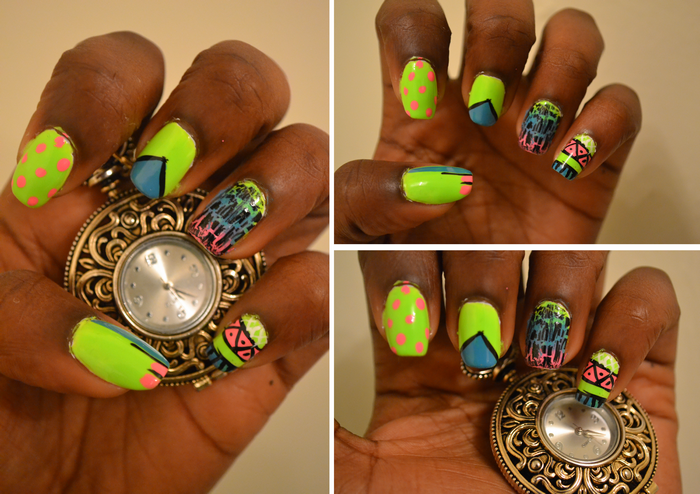 wow your nails look amazing :) love the intricate detail, I could never do this haha.